Are you looking for a new lawyer? Are you concerned that your current lawyer is not qualified to provide effective help? Are you afraid you will get charged with a crime or convicted of something you didn’t do? Do you feel neglected or uninformed about what is going on in your case? Just like you wouldn’t want to be your doctor’s test case when you need surgery, there simply is no room for experiments when it comes to being competently represented in legal matters—in particular in criminal matters where your liberty, livelihood, and your reputation are at stake. Attorney Dr. Nick Oberheiden strongly believes that every client is entitled to direct access to their lawyer in order to coordinate the legal strategy and to make smart decisions together as one team. At the beginning of a case, many people tend to hastily hire a lawyer that they’ve heard of before or that someone else recommended—without really having the time or the insights yet to determine if that lawyer possesses the qualifications and the experience needed to achieve your goals. As the case progresses, reality sets in and the lawyer’s shortcomings become visible and begin to impact your trust and comfort. 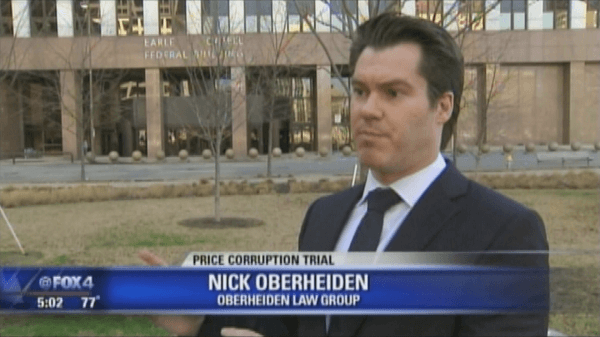 A frequent speaker and legal expert on media stations across the United States, federal defense attorney Dr. Nick Oberheiden has successfully represented hundreds of clients before all major federal agencies including the Justice Department (DOJ), the U.S. Attorney’s Office (USAO), the Department of Defense (DOD), the Department of Health and Human Services (HHS), the Office of Inspector General (OIG), the FBI, the DEA, the IRS, and others. If you have questions about a case or request a second opinion, you can reach Nick directly on his cell phone at 866-Hire-Nick. How much of your practice is dedicated to federal criminal defense? How many federal criminal cases have you handled? How many federal criminal cases [just like mine] have you handled? How many of your federal criminal cases resulted in no convictions? If I hire you, will you handle my case or some junior lawyer? 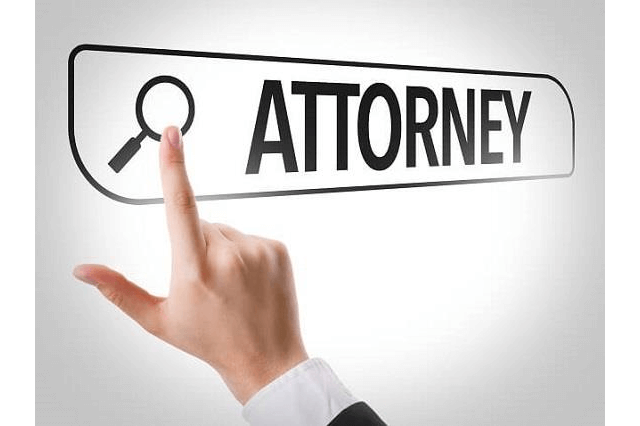 Why Is It So Important to Have the Right Attorney? Arguably, there is no area of law where the skillset of a lawyer matters more than in criminal cases. Depending on the allegations, much or everything in your life can be on the line, in particular your freedom and your time with your family. You should see a lawyer as an investment, an investment into your future and your ability to move on and continue your business affairs without worrying about the government. How Do I Know My New Lawyer Is 'Better' Qualified? Be specific when you ask for your lawyer’s experience. Ask how many cases your lawyer has handled similar to yours and what outcomes he obtained. If your case involves federal criminal copyright violations or federal bank fraud, the best state law domestic violence attorney in town may lack the specific familiarity with banking or copyright regulations. If you are accused of health care fraud, Medicare fraud, Medicaid fraud, or illegal kickbacks you may want to save a lot of time and money by not hiring a lawyer who first has to do legal research to know if you did something wrong or not. At What Point Should I Hire a New Lawyer? You can break it down into subjective and objective signs. Subjectively, you need to ask yourself if you trust your lawyer to achieve your goals and whether you feel a good chemistry between your counsel and yourself. Objectively, you need to ask whether your lawyer has the necessary firepower, experience, and skillsets. Because criminal cases center around your liberty, freedom, your livelihood, and your good reputation, you simply can’t afford to work with an attorney that lacks the skillset or does not keep you reasonably informed about your case. If you feel unhappy, neglected, if you can’t reach your attorney, if you are walled off by secretaries and paralegals, if junior lawyers suddenly handle your case, it may be time to look for replacement. At the end of the day, it is you who has to decide whether or not to continue with your current lawyer or whether to switch to new counsel. Will a Prosecutor or a Judge Consider My Change of Lawyers as a Weakness? No. It is not a weakness to change lawyers. In fact, it is fairly common. Rarely does it happen that one attorney works on the case from start to finish, in particular if the case involves different stages and levels of specialization (e.g. trial) that not all lawyers originally considered are qualified to perform. Can I Switch Attorneys in the Middle of the Case? Generally speaking, you can switch attorneys anytime you want. The Constitution protects your right to pick an attorney of your choosing. However, you should avoid last minute changes (such as the night before a trial) or changes for mere strategic reasons as judges may deny your request for new counsel or may deny your motion to delay a hearing or trial if they believe such change would not serve the interests of justice. Can I Switch From a Public Defender to a Private Attorney? Switching from a public defender or court appointed attorney to a private attorney is possible but may be subject to certain conditions. Typically, before a defendant is assigned a public defender or court appointed attorney, the defendant must represent to the court in a sworn statement that the defendant does not have the financial means to pay for a lawyer himself or herself. If the defendant’s situation improves (e.g. through friends and family), the defendant may switch to private lawyers. Anyone’s considering to replace an appointed attorney with private counsel should, however, realize that the court will likely not allow the defendant to return to a court appointed attorney should the defendant run out of money later on. Will I Have to Talk to My Old Lawyer Once I Switch? To avoid a vacuum of attorneys, you should not terminate your current attorney without first securing the help of a new counsel. Once that is done, you must inform your attorney in writing that you are terminating the attorney-client relationship and that you request a transfer of your file either to yourself or to the address of your new lawyer. The new lawyer will then file a “notice of appearance” informing everyone involved in the case, including the court, the prosecutor, and your “old” lawyer that someone else took over. Will I Get My Retainer Back? A lawyer taking over a case from another lawyer is ill-advised to interfere into business relationship you have with your current lawyer. In general, nonrefundable agreements only apply in rare circumstances. Under the laws of most jurisdictions, legal fees have to be fair and reasonable and any unearned portions under a retainer agreement must be refunded to the client upon request. How Much Would It Cost Me to Hire Nick? Predicting legal fees is like predicting the weather in April. Ultimately, the amount of legal fees will depend on the nature of the case, the stage of the case, the status of the client within the case, the goals of the prosecution, the need for experts, and the like. For example, in a criminal case, legal fees can vary significantly depending on whether a defendant is planning to plead guilty or determined to fight the case at trial in state or federal court. Clearly, more work and more preparation is required for a case when the lawyer or a team of lawyers prepare for a four week long federal jury trial with 40 witness examinations—rather than two meetings with the government to enter a plea of guilty. The best way to get specifics is to call a lawyer you consider qualified and to discuss the goals of the representation and the lawyer’s fee schedule. What Do I Need to Do to Change Lawyers? If you consider switching lawyers, you should do so in two steps. First, compare the lawyer’s credentials and experience with those of your current attorney. Get the comfort and trust needed to work in a team to prevail in the case. Second, once you have identified such an attorney, just pick up the phone and discuss the goals of the representation and see if the lawyer personally convinces you that he or she is the right one. Because most lawyers don’t charge for consultations, you have nothing to lose but to get ideas and free advice. Attorney Nick Oberheiden is available to discuss your situation free of charge and 100% confidentially. Feel free to contact him online, or call him, including on weekends, on his cell phone at 866-Hire-Nick when you have questions about switching lawyers or if you want to inquire about Nick’s experience with the type of situation you are currently experiencing.